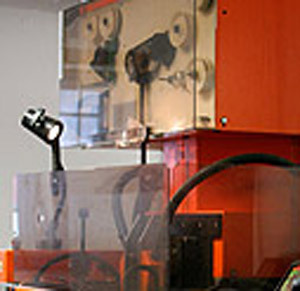 Edgar Industries offers Wire EDM services. Wire EDM (electrical discharge machining) can produce complex, contoured shapes from a wide range of metals including exotic alloys, allowing you to design virtually any geometric shape you require in a single piece. Even hardened materials may be cut with EDM without part distortion and eliminating the need for post machining. EDM produces burr free precision parts with superior edge qualities and surface finishes.